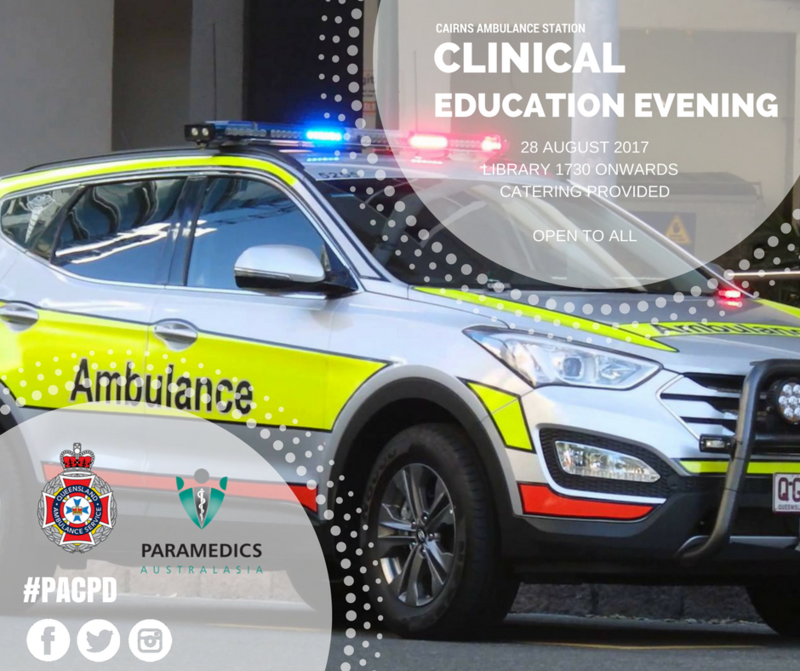 QAS & PA Qld Chapter are proud to host a Clinical Education evening at the Cairns Ambulance Station. Topics for presentation include the recognition & management of inferior STEMI & the NEXUS criteria - its relevance, & practice. Paramedics will also present de-identifiable cases of clinical interest.